Seeing your favorite musicians perform live is a one-of-a-kind experience. Part of what makes concerts so powerful and energizing is how loud the music is, but often times, the music can be too loud. Any time you feel your ears ring, it’s a sign of irreversible hearing damage. 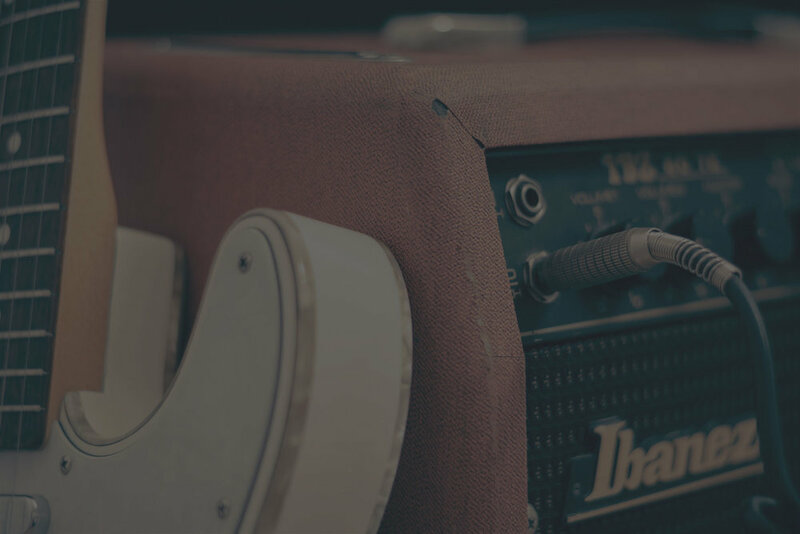 The average concert produces 98-110 decibels, and music at these decibel levels can result in hearing loss in less than 30 minutes. 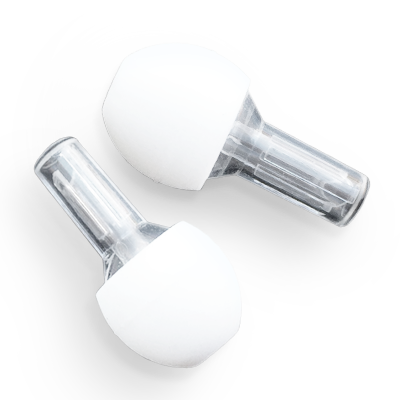 While foam earplugs have been the standard hearing protection option at concerts for decades, they are not designed for music; they are designed for construction sites, snoring spouses, gun ranges – situations where you want to completely block out the sound in your environment. Not to mention, having big, bright pieces of foam sticking out of your head can be embarrassing and unsightly. Whether you're a musician playing on stage, or someone in the crowd, Vibes will allow you to protect your hearing health and stay comfortable, while still being able to hear every note with clarity. 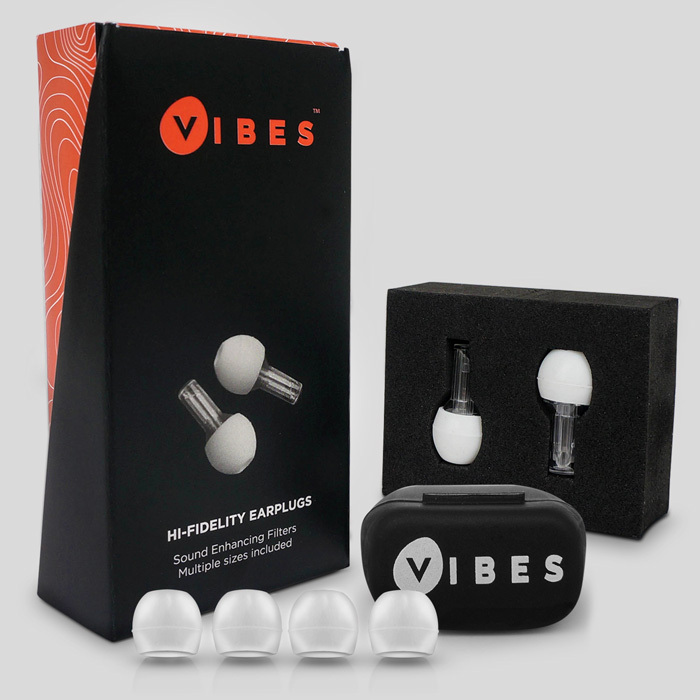 Vibes Hi-Fidelity Earplugs are reusable, virtually invisible and specifically designed for live music. Instead of blocking & muffling music like foam earplugs, Vibes filter acoustics without sacrificing sound clarity, lowering the volume of the music to safer and more comfortable levels.